Yo La Tengo is the sound of slightly nerdy brainiacs rifling through the racks of the hippest record store in town. You know the type -- obsessive fans who always have the first line on what's new and cool and often obscure, people who can also find the buried treasures on albums you thought were hopelessly uncool. They're the overgrown kids you see at every club gig that matters, who finally get up the nerve to step onto those stages. 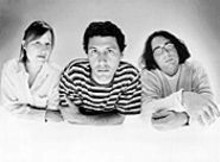 For nearly twenty years, Yo La Tengo's piquant mix of pop chime, narcotic noise and inspired amateurism has made it perhaps the definitive indie-rock band. 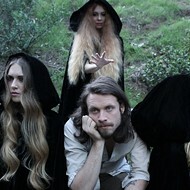 The group's latest full-length, Summer Sun, finds the band members wandering to the back of that record store with a copy of Big Star's Third/Sister Lovers under their arms to peruse the jazz section. It's Pet Sounds turned upside down into the sound of a satisfied yawn at three in the morning in a bohemian café, melding moody and ethereal post-rock wandering with muted trumpet, gently lilting flute and sultry saxophone.